In 2016, female high school students scored an average of 30 points lower on the math section of the SAT compared to male students. In 2009, only 27 percent of math and computer science jobs were filled by women, a decline of three percentage points from 2000. And, most worryingly, in 2005 less than 10 percent of tenured PhD professors in mathematics were women, leaving many famous discoveries and inventions to be created by predominantly male mathematicians. For every statistic showing the lack of female representation in mathematics, the contrapositive is true as well. If women are disinclined towards math for gender-based reasons, then men must be inclined towards math for similarly gendered reasons. The beliefs and cultures surrounding mathematics must somehow be linked with masculine identity. At age four, my parents gave me Legos and Lincoln Logs to play with, not because I had expressed any interest in them, but because they felt like it was the good toy that “fit” my personality. Years later I would be placed into double advanced mathematics at age eight by my school counselor who saw potential within me. Family friends recommended I join math-oriented summer camps, which bolstered my understanding of spatial awareness and geometric thinking, two key aspects that can predict success in mathematics. All of these things were chosen for me with the belief that I would be “good” at them long before anyone actually knew what my academic strengths were. It was during these essential years of my childhood that I also started to identify with my gender. I saw pictures of bulky male rockstars and superheroes on TV and the internet. My personality naturally adjusted to the stimuli I saw and heard; I imagined myself as the sole hero of an epic spaceship battle or as a rogue detective who “got results but didn’t play by the rules.” The commonality across these experiences was my young self’s aspiration to be someone who broke the rules but still succeeded — someone who found new, unorthodox ways of being a hero in the world. Math is a field that heavily values logical and original thinking. Students are often given problems that they may not have seen before in class and are expected to use their existing knowledge to create the new knowledge necessary to solve a given problem. A teacher might only tell the class the equation for a circle but assign homework requiring them to shift the circle or find new properties about it using their own reasoning. These problems are similar to the rogue detective who uses unorthodox methods to succeed in that students have to find these solutions by creating seemingly new rules that math must follow. It is for this reason that men are so heavily encouraged to pursue mathematics and similar fields. The culture of masculinity, which promotes independent genius and unorthodox behavior, is heavily correlated with math culture’s foundation of reaching solutions through unconventional methods. For math to progress in the modern era, the former has to change. 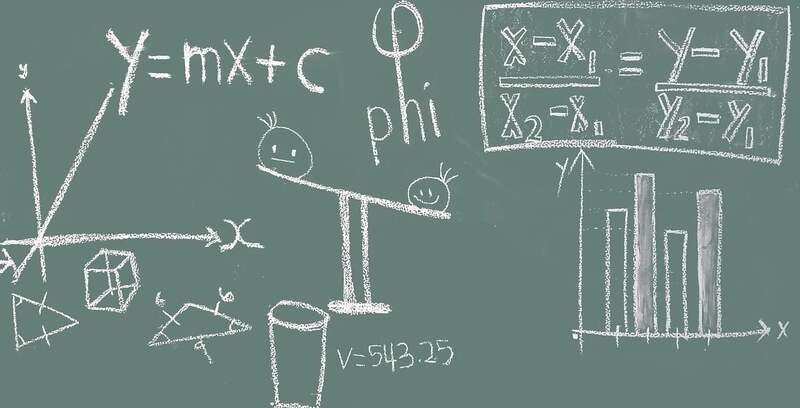 Otherwise, the prescribed relationship between math and masculinity will continue to keep the playing field unequal for female students who may not identify with the masculine associations of mathematics. In 2016, do you honestly believe that anyone was doing anything but enthusiastically urging on every female student who had even a shred of mathematical capability? Why is it never possible that people aren’t doing something because they don’t WANT to? Why must there always be some nefarious agenda? Why most we always destroy everything we have to chase a parity that people don’t actually fall into when left to their own devices? Why must our entire civilization distort itself out of all recognition simply to comply with the OCD demands of people who simply cannot accept that every occupation on the planet might not have the precise representation that complies with their representation in society at large?